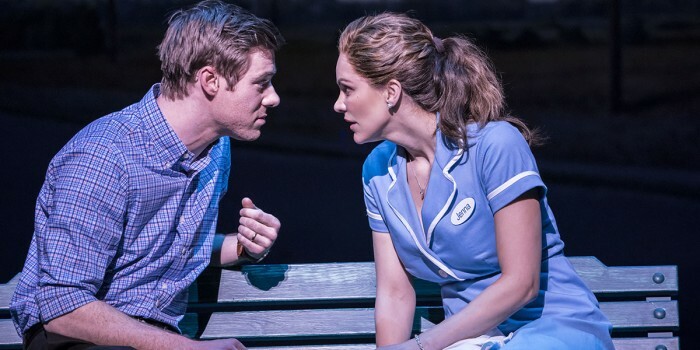 As Jenna herself says, it’s amazing what baking can do, but it seems like no amount of pies and sweet treats are going to prevent Katharine McPhee from leaving the cast of Waitress. Katharine has been performing in the West End as Jenna ever since opening night in February, but she’s now confirmed her final performance will be on the 15 June 2019. A successful American actress and singer, Katharine had previously played Jenna on Broadway, before coming over to the Adelphi Theatre earlier this year. You’ll probably also recognise her from her stint on American Idol (where she was a contestant in season five), the hit TV show Smash, and more recently, in the CBS drama Scorpion. But Katharine’s departure doesn’t mean the end of Waitress, as the actress stepping into Jenna’s apron will be announced soon! Waitress is the story of Jenna, who works in a small-town diner. Trapped in an unhappy marriage, Jenna finds out she’s pregnant and becomes more determined than ever to leave her husband and her small town to open her own pie shop. But will sugar, butter and flour be enough to make her sweet dreams come true? And who’s the hot new doctor in town? Alongside Katharine McPhee as Jenna, Waitress stars Jack McBrayer as Ogie, Marisha Wallace as Becky, Laura Baldwin as Dawn, Peter Hannah as Earl, David Hunter as Dr Pomatter and Shaun Prendergast as Old Joe. If you're excited about Waitress coming to the West End in February, you're going to love this announcement about the first ever Cast Album Karaoke nights. 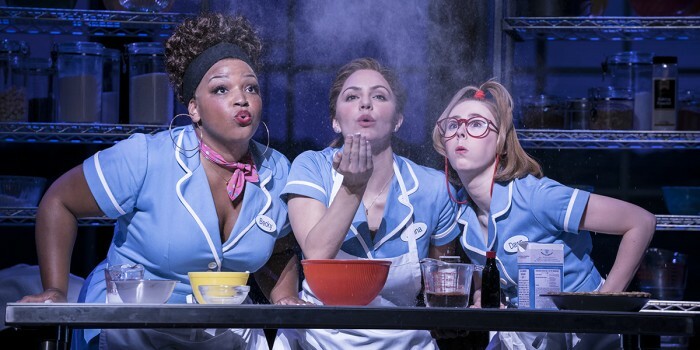 A smash-hit on Broadway too, Waitress is also currently touring the US and will soon have an Australian premiere in 2020. You’ve only got ten more weeks to see Katharine perform in the role of Jenna. Her final show will be on the 15 June, and you can book tickets for that day, and any other performance of Waitress, right here on Official London Theatre!